WITH THE GREAT STEVE JORDAN/NAMM 2012! 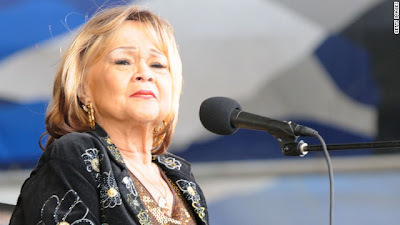 The great singer Etta james died. I had the opportunity to hang and perform with her for awhile in the late 70's. She was a powerful, soulful performer! RIP! SANTA BARBARA JAZZ SOCIETY CONCERT 1/15/12! 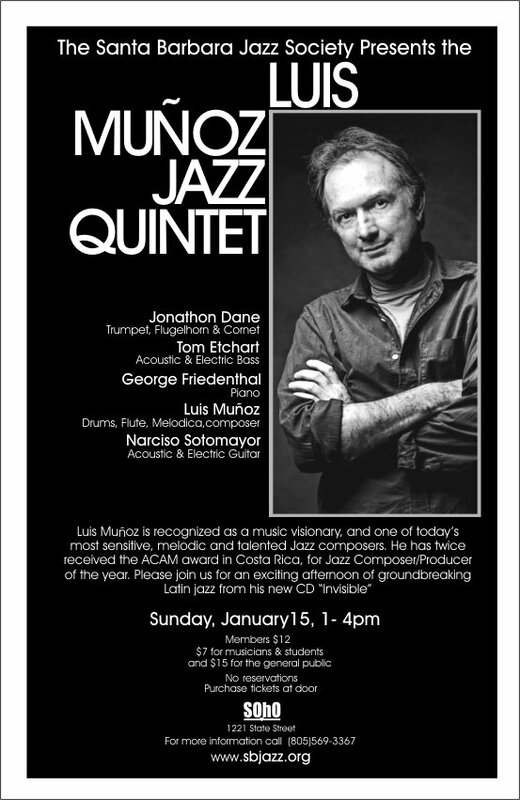 Performing, away from the drums, new music from the upcoming "
LUZ" CD during our concert for the Santa barbara Jazz Society on 1/15/12. THE SANTA BARBARA JAZZ SOCIETY PRESENTS: LUIS MUNOZ QUINTET LIVE!